While currently out on the road supporting their debut full-length The Bones of What You Believe, Scottish trio Chvrches have temporarily put the focus on Arctic Monkeys by serving up a glitzy electro-pop cover of the UK rock outfit's stomping AM single "Do I Wanna Know?" 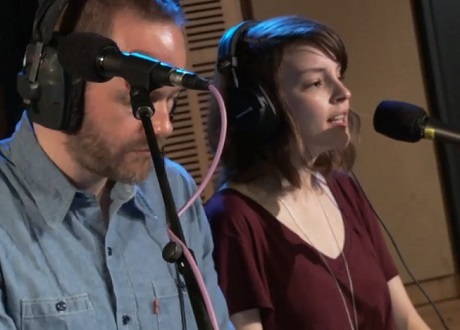 Australia's Triple J radio station recently hosted Chvrches in their studios, where the band revamped the bluesy number by scrubbing out guitar riffs for a series of synth-driven sounds. Between the pillowy, down-tempo electronic tones and the softly sung lines from Lauren Mayberry, the track takes a more airy and melancholic demeanor in the hands of Chvrches, but that suits us just fine. You can catch the act's interpretation of the Arctic Monkeys track down below.